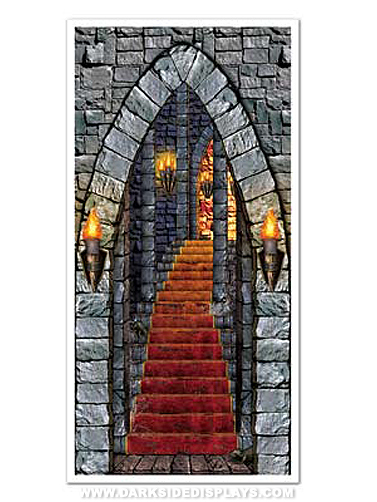 Transform your entryway or an inside door into the entrance of a castle with this plastic door cover. Great Halloween decoration for indoor and outdoor use. Hang with your own tape or temporary adhesive. Easily cut to fit your door. Castle Entrance Door Cover measures 30"W x 60"H.